Please follow steps 1-4 to register new litters. Note: Both parents must be GANA registered. Before you start, please print this page so you have these instructions once a link takes you to a new page. Step 1: Please pay for the litter you are registering before you leave this page to register your litter. Note: A non-compliance fee will be added to register litters after the deadline (90 days post whelping). That fee will double the registration fee meaning you need to pay twice before your litter will be processed by the Registrar. Litter registrations are typically processed the day they are received and mailed the next day. With your litter registration forms, you will receive one copy of the owner registration instruction page. You will need to copy and give one instruction sheet with each individual litter registration paper. enter the date of birth, breed, etc. Then click on “continue”. C – Include microchip or tattoo information as well as predicted height. Oliver the Goldendoodle - a poodle and Golden Retriever cross - has more than 52,000 Instagram followers. 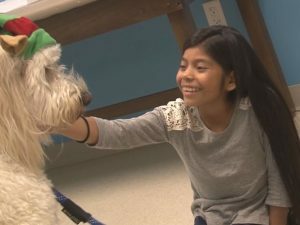 This 6-year-old golden doodle brings smiles and a waggy disposition to the Children's Rehabilitative Services. GANA is an organization for Goldendoodle Enthusiasts, both Breeders and Pet Owners, to support responsible breeding and pet ownership. Your membership helps to fund research and development regarding health, genetics, puppy development, and more. The Goldendoodle community is very passionate about their breed and GANA is glad to welcome you to be a part of it! © 2019 Goldendoodle Association of North America. lease use the same e-mail address that you used on your membership application. Kennel prefix registration is only available to association members. The e-mail address is used to match the kennel application with your membership application. The Prefix is to form the first part of puppy's name bred by the above-named person. Note: This application is for registration with the association only. There is no guarantee that you can use the same prefix for registration with your local canine association. 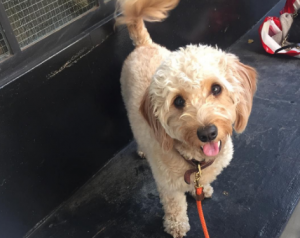 If you want to reserve your prefix for use after recognition of the Goldendoodle, it is advised to register your Kennel prefix with your local canine association (without giving a breed of dog). I have submitted an application or request to renew my application to be an Accredited Breeder with the Goldendoodle Association of North America (GANA). I have read, understand, and agree to abide by the Breeders' Policies And Guidelines , and the accompanying disciplinary penalties. I have read and understand the Health Testing requirements to become either a GANA Red Ribbon Accredited Breeder or a GANA Blue Ribbon Accredited Breeder, and I agree to complete and maintain all required health testing of all Golden Retrievers, Poodles, and Goldendoodles used in my breeding program. I understand that my membership may be suspended or terminated should I fail to comply with any of the terms hereof, or as they may, from time to time, be added to or amended. I agree to the above Breeder Code of Ethics.